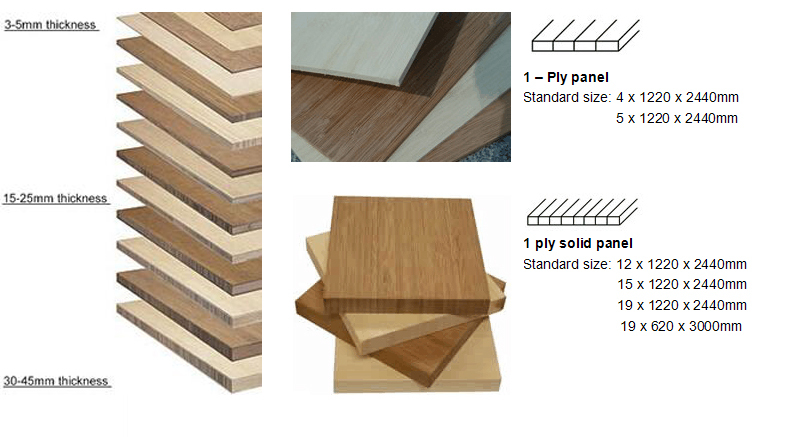 1 – Ply panel : The 1-ply panels are mainly used as a veneer, where the bamboo panel is pressed double sides on a base ( for example MDF or chipboard). Most applications require pressing on both sides of the base, to prevent possible bending. Sandwich Panel: The sandwich panel consist of 3 layers of 1-ply panels, where the middle layer is vertical it looks like “Ⅰ ” construction. 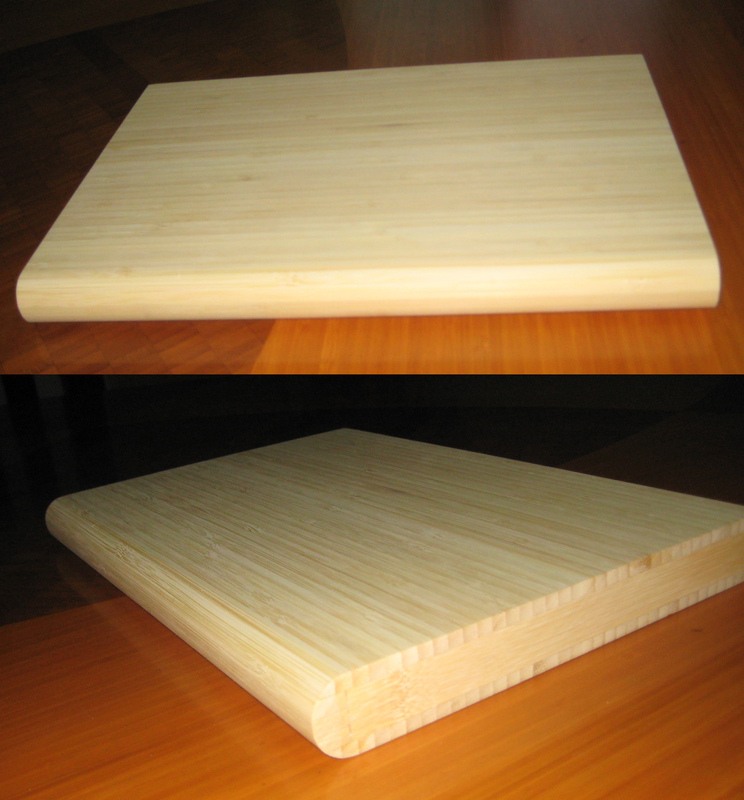 Muti-ply Panel : The muti-ply panels consist of multiply layers of bamboo,where the middle layer can be either horizontal or vertical pressed. All panel types available both Natural & Carbonized colour, horizontal and vertical looks.